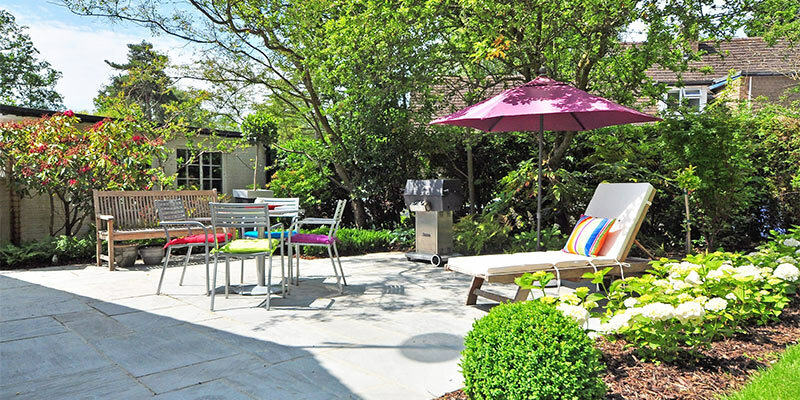 Is your backyard space a little lacking? If so, then it may be time for an upgrade. If you’re not currently making use of your backyard, there are plenty of changes you can make to improve its function and ultimately make your backyard a new favorite hangout space. If you don’t already have a deck or patio, now is the time to have one installed. While having a patio or deck put in will require an initial investment, it’s worth keeping in mind that patio/deck installation offers some of the best return on investment of any home improvement project. Having a beautiful stone patio that connects to your home via sliding or French doors can also be a great way to create a natural extension of your living space from indoors to outdoors. Fire pits are relatively inexpensive yet can add a great gathering space to your backyard. You can install a stand-alone fire pit anywhere around your yard or consider installing one on your deck or patio for convenience. Just be sure to keep your fire pit a safe distance from your home and other nearby structures, including sheds and trees. You can further beautify your fire pit by adding a natural stone surround as well. Transform your backyard into a private oasis for even more enjoyment. There are plenty of practical and inexpensive ways to add privacy to your backyard space, ranging from having a privacy fence installed to simply attaching a privacy screen to your patio or deck. For a more durable option, having a stone wall installed can create a private oasis. You might even consider planting some tall trees or other plants that will grow over time and create a natural barrier between your yard and the outside world. Beautify your backyard space by starting a small garden of your own. Even if you don’t have much of a green thumb, a small and low maintenance garden of wildflowers can make your backyard space that much more enjoyable. Or, if you like cooking with fresh herbs and vegetables, set up a small container garden with things like cilantro, basil, peppers, and zucchini. These are all relatively low maintenance herbs and vegetables—and how nice will it be to be able to pick them fresh before preparing a meal? You can make trips to and from your garden even more enjoyable by adding a beautiful cobblestone or blue-stone walkway as well. Furnishing your outdoor space appropriately can also make all the difference. You don’t necessarily need to spend a lot of money here but having at least one large patio table with ample seating for everyone in your household can go a long way—especially if you enjoy grilling and eating meals outside. An outdoor rug placed over your deck or patio can also create a cozy, and comfortable feel. Other furniture items, such as side tables, ottomans, and bar carts can turn your deck or patio into an entertainment hub. As you can see, transforming your outdoor space doesn’t have to mean spending a lot of money or undertaking huge projects. Even just planting a small garden or adding a little privacy can make a huge difference when it comes to your backyard space.